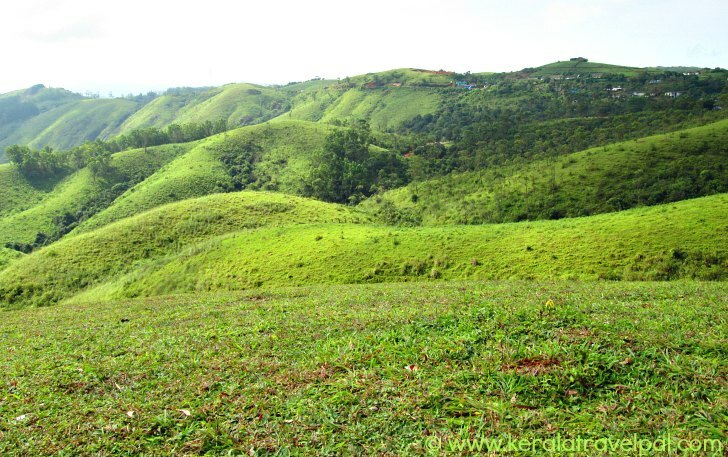 Vagamon (also Wagamon) is located 64 kms from kottayam on the Idukki border. It is a hill station with a difference. The rock cut curvy road and the pine forests appear as the initial indicators, en route to the destination. After that we come across hills, taken the form of scattered clusters of green bubbles. Those who are fond of adventure are attracted to another aspect that is equally visible – rocky ridges, contours and steep hills. One of the well known adventure tour destinations of Kerala, Wagamon - kuttikkanam locality is great for trekking, paragliding, mountaineering and rock climbing. The annual paragliding festival hosted here is one of the largest adventure sports events in India. The festival lasts for three days, during March or April. For its distinct look, Wagamon is sometimes referred as “the Scotland of Asia”. That may be a bit far-fetched or maybe not. What is more constant about this place is the cool air that is ever roaming and the altitude, that is above 1,100 metres from the sea level. The picture perfect vista always finds its way to movies, photos and paintings. Have you heard of Christian monks leading a Hindu Ashram type life? Kurishumala ashram on the hill is quite interesting. Established by the Belgian monk, Francis Acharya, the ashram follows a tradition that has aligned Hindu concepts to Christianity. Their routine includes prayers, work, study, meditation, satsang (meeting) and bhajans. The monks operate a dairy farm on the hill. A place visited by tourists, the farm supports the Ashram. About 1500 litres of milk is sold in the region daily. A great outcome for an ashram that has 20 or so monks. Thangalpara (Thangal hill), the Muslim pilgrimage centre, is located five kms from Vagamon. Thangalpara is the resting place (Dargah) of Hasrath Sheikh Fariduddin Baba. The Sufi saint, a native of Afghanistan, reached Kerala about 800 years ago. Moonappara is a steep canyon and for that reason a suicide point. View from the top is great, and hence the place is visited by many tourists. Teekoy village, along the northern plain is a pleasure to get to for the scenic ride, stunning vista and Maramala waterfalls. Wagamon was a spiritual retreat before it became a well known hill station. Hinduism, Christianity and Islam have long held spiritual centres among the hills. Murugan Mala (Murugan Hill) has a temple dedicated to Lord Muruga. Usually portrayed sitting on top of a Peacock, he is the son of Lord Siva. The temple is carved out of rock along the hill side. Another place that attracts plenty of devotees and visitors is Kurishumala. In Malayalam, Kurishumala means hill of the holy cross. On Good Friday, the peak period, hundreds of devotees carry cross and climb to the top. Kurishumala, or the mountain of the holy cross, has several smaller mounts, each with a cross fixed on top. There are several resorts and home stays around, so sticking around a few days here is usually easy. Vanilla County, Vagamon Heights, Vagamon hide out, Padmalayam, Summer Sand, Green meadows, and Ananya Hill Resorts are just a few. Make sure to check the reviews before you book. 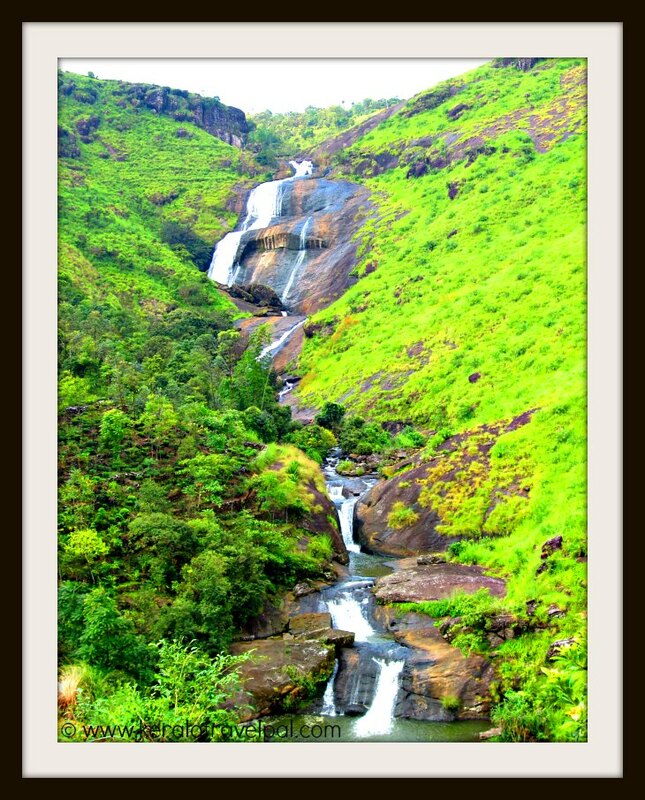 If you are just visiting here for a day, then you could opt to stay at Kottayam or Palai or Thodupuzha. Located in the border of Kottaym and Idukki districts, Vagamon is frequented by those who visit Kerala high range tourist spots. Travel to here can also be aligned with Kumarakom back water ride plans. The nearest Airport is at Cochin, at 120 kms. Food Options: Better to opt for nearby towns as not much up the hill station. Accommodation Options: Several resorts and home stays in the area. Alternatively you could stay at Thodupuzha, Pala or Kottayam town. Best time to visit: Throughout the year. June – August can be really wet though. Nearby Attractions: Maramala falls, Elaveezha poonchira, Cheeyappara and Valara falls, Kumarakom backwaters and Poonjar Palace.